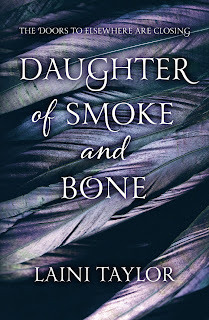 Wicked Wonderful Words: Review: "Daughter of Smoke and Bone"
Review: "Daughter of Smoke and Bone"
If you've never been to Prague, you need to put it on your to-do list, preferably right at the very top. It is a wonderful city. Beautiful in a gothic way that works best in autumn when the leaves turn yellow and orange and the air is crisp and sharp. It is great for Christmas markets as well and the people of Prague throw a great party for News Years... and I'm getting off track. So back to topic. 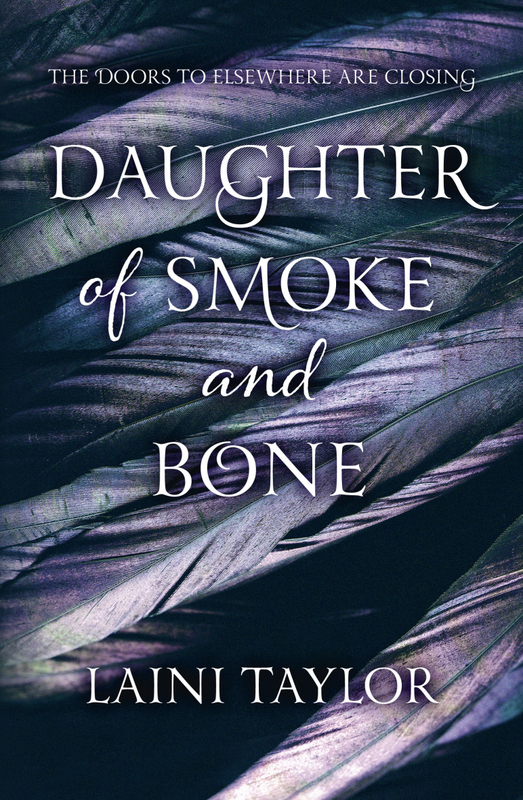 Last night I finished "Daughter of Smoke and Bones" by Laini Taylor and it was a great paranormal adventure. One of the things that I absolutely loved about this book is how different it is to many of the other paranormal romances out there. It doesn't take place in small-town America and the protagonist is not an average-looking girl with average talents and skills. Oh now, not at all. Karou is fierce! Gorgeous looking with natural blue hair and she's intelligent and a talented artist on top of that. Oh yeah, one cool lady. She lives on her own in a small flat in Prague where she studies art and hangs out with her friend Zuzana. Sometimes she will disappear though, for hours or days, leaving her life in Prague behind as she sets out on mysterious errands for the man in the shop. Brimstone raised her in his shops where dodgy tradesmen and hunters trade in teeth for wishes. Sometimes, however, the tradesmen can't come to the shop and instead Karou must travel to them, walking out of the door and straight into exotic places - Marrocco, Paris, Russia. In return for her work, Brimstone grants her small wishes and being a cool chick, Karou doesn't wish for goody-two-shoes as if she was some pageant beauty, no no, Karou wishes for the eyebrows of her rivals to grow fat and dark or for her ex-boyfriend's behind to itch at unfortunate times. She rocks. Then one day while she is out on one of her errands, she encounters a beautiful angel who tries to kill her and from that day, her fate is sealed. Soon she is drawn into a centuries old battle between angels and chimeara and her relatively normal life is becoming less than normal. If you like your paranormal romance gutsy, exotic, interesting and different, then this is for you. It is a tour-de-force through an intriguing paranormal universe where humans are just the extras. It's cool in a way that very little paranormal fiction is and which I absolutely adored. If this book was a piece of clothing, it would be a pair of skinny jeans with leather back pockets, rock'n'roll for the masses. Read it if: You have a love for Prague and other Eastern European cities. You like your paranormal heroines to be more of the rock star type than the beauty queen type.